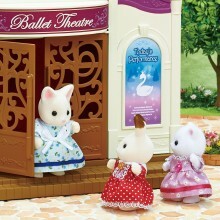 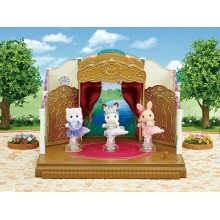 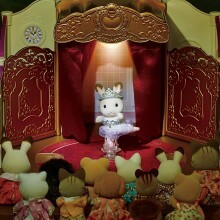 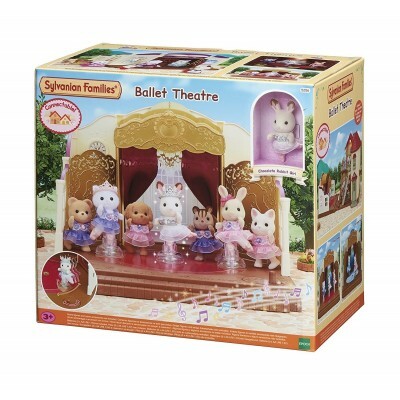 The figures in Ballerina Friends and Ice Skating Friends sets can be placed on the stage for even more hours of fun. Ballet Theatre can also be connected to Beechwood Hall (sold separately). 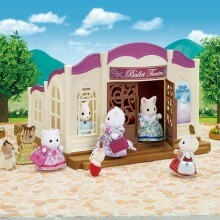 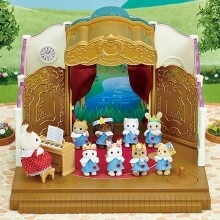 Backdrop boards and music can be downloaded from the Sylvanian Families website for even more fun.